Last year SCP went along to a gallery exhibit of Sydney artist Little Gonzalez. We were blown away by his amazing Pop Art of musicians like Amy Winehouse, Madonna and Daft Punk - the colour, motion and texture of his work you could just stare at for hours!! Now Little Gonzalez has just released his first book - a brilliant Name That Song pictorial where you try to guess the name of the song from the illustrated picture! 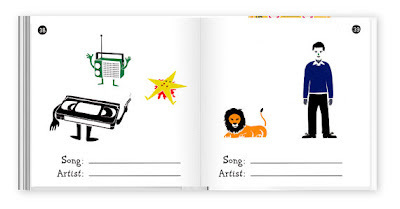 For example - look at the picture above - can you guess the song? 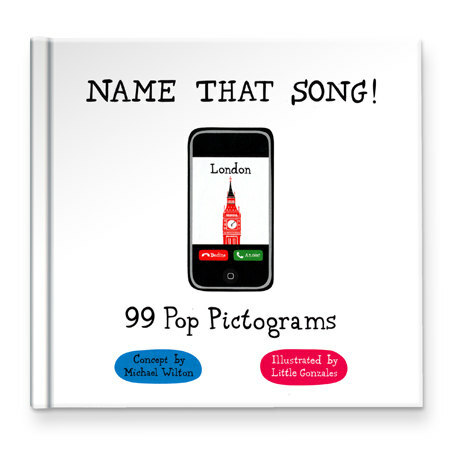 We have the answer for you below, but first here are a couple of other great Name That Song pictures for you..! Did you guess them? Well we wont ruin them for you but if you're absolutely busting for an answer message us and we'll let you know! The cover photo if you havent yet guessed is London Calling by The Clash! Clever hey?! Little Gonzalez's book Name That Song is out now at etsy.com..!